If you want to celebrate the first astrological sign of the zodiac, an Aries ram tattoo may be the perfect choice. 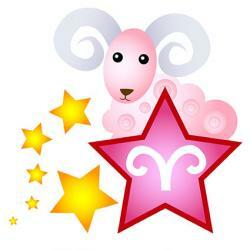 Those born from March 21st through April 19th are born under the astrological sign of the Aries. Aries is a fire sign and those born with the typical Aries traits tend to be confident, impatient, courageous, and at times, even foolhardy. The baby of the Zodiac is represented by the Ram, originating from the group of stars that create a ram-like head and horns in the constellation of Aries. Astrology tattoos are a great choice for a permanent body art piece. Unlike relationships marked by name tattoos that one day may cease, an astrological zodiac sign is yours to keep forever. There are many ways to incorporate an Aries ram tattoo into a unique design idea. 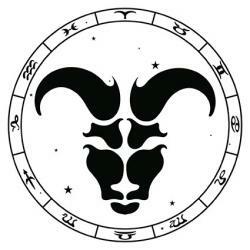 Aries Ram Symbol: The origin of the Aries glyph is unknown, appearing for the first time in Egypt. The symbol depicts the head of Amun. 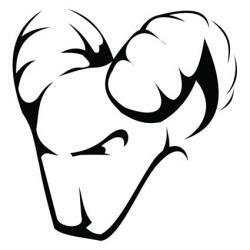 Today, the glyph represents the horns of the ram. This simplistic symbol is perfect for an ankle, shoulder, wrist, or upper back tattoo. Because the glyph is minute, the piece can also be worked into small spaces such as the back of the neck or on the foot. For those seeking a more substantial glyph piece, consider working the symbol into a larger design, such as a constellation or the vibrant earth, complete with vivid colors. For lovers seeking an intimate piece that celebrates their fondness for one another, consider placing the appropriate glyphs side by side. Humorous Tattoos: Anyone born under the sign of Aries knows they have many strengths, but are well aware of their own individual areas of improvement. Aries are very bold, blunt, and at times, forceful. The sign of Aries is prone to leaping without thinking first. To celebrate an Aries ram while incorporating their kindred spirit, channel your satire. An Aries ram could be designed leaping over the other side of a cliff while looking sideways, or perhaps sitting with their foot in their mouth. Because an Aries is also very quick-tempered, a ram with flushed cheeks and a frustrated smirk would certainly help define their traits. A Badge of Courage: Because the Aries sign is also courageous, bold and brave, celebrating this zodiac symbol within a badge marks their pioneering spirit. 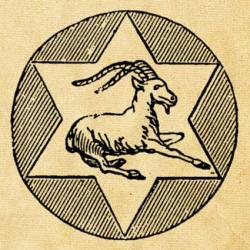 A unique badge of courage may include the Aries ram symbol within a family crest, or perhaps a small blessing or word of wisdom above a simple glyph. Because the Aries is considered a masculine sign, women may need to soften the symbol to better enhance their femininity. An Aries glyph can be placed on the back of a fairy or perhaps within a vine of flowers. for a feminine take on the horned symbol. For a unique idea, consider pairing the Aries glyph as a head with the body and the wings of a butterfly. The horns will double as antenna while still representing the zodiac sign. For those seeking an ethereal tattoo, a naked goddess can be depicted with the Aries glyph drawn on her stomach. 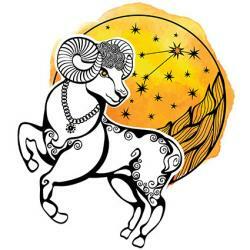 To find more inspiration for an Aries ram tattoo, it makes sense to read up on the astrological sign and pinpoint the traits that mark the individual that you want to commemorate, whether that be yourself or a significant other. Once you've decided on a few tattoo ideas, you can meet with a professional tattoo artist and brainstorm the finished piece.Once you've decided on an astrological tattoo, the ideas are endless. Use your creativity and combine the piece with some of your favorite things to make the sign of Aries your very own.